The world’s first traffic lights were installed exactly 150 years ago outside the Houses of Parliament in London. Since then drivers around the globe have spent billions of hours waiting for green. With Jaguar Land Rover’s latest tech, however, their days could be numbered. The Green Light Optimal Speed Advisory (GLOSA) system allows cars to "talk" to traffic lights and inform the driver the speed they should drive as they approach junctions or signals. 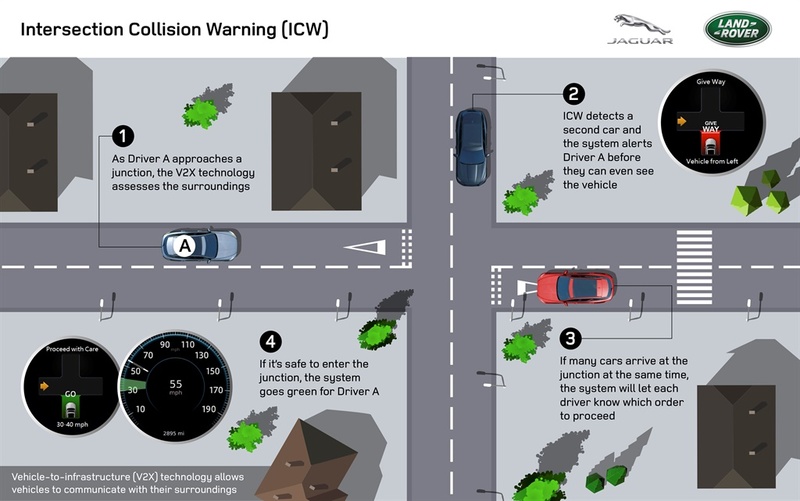 The connected technology is currently being trialed on a Jaguar F-Pace, as part of a £20 million (R371 million) collaborative research project. Like all Jaguar or Land Rover vehicles today, the F-Pace already boasts a wide range of sophisticated Advanced Driver Assistance (ADAS) features. The connected technology trials are enhancing existing ADAS features by increasing the line of sight of a vehicle when it is connected via the internet to other vehicles and infrastructure. GLOSA is being tested alongside a host of other measures to slash the time commuters spend in traffic. 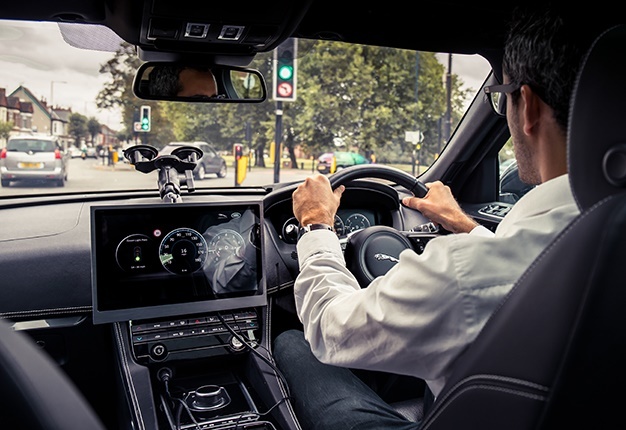 WATCH: New Jaguar Land Rover technology using Vehicle-to-Infrastructure (V2X) connects cars to traffic lights so drivers can avoid getting stuck at red and help free up traffic flow in cities. Jaguar Land Rover has also addressed time lost to searching for a parking space by providing real-time information of available spaces to drivers and developed an Emergency Vehicle Warning to alert motorists when a fire engine, police car or ambulance is approaching. The advanced technology builds on the connected systems already available on the F-PACE such as Adaptive Cruise Control. "This cutting-edge technology will radically reduce the time we waste at traffic lights. "It has the potential to revolutionise driving by creating safe, free-flowing cities that take the stress out of commuting. Our research is motivated by the chance to make future journeys as comfortable and stress-free as possible for all our customers," said Oriol Quintana-Morales, Jaguar Land Rover Connected Technology Research Engineer. 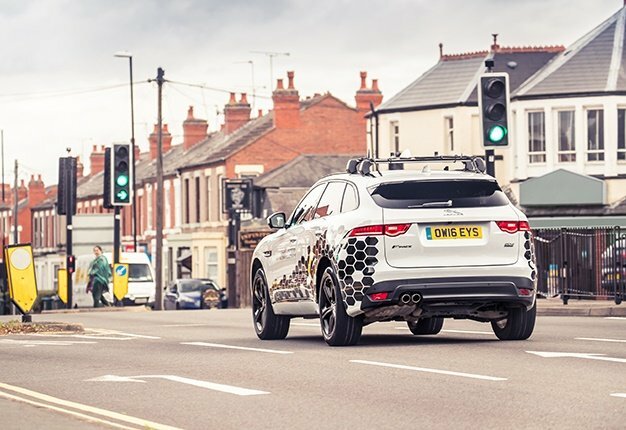 The trials are part of the £20 million government-funded project, UK Autodrive, which has helped accelerate the development of Jaguar Land Rover’s future self-driving and connected technology. As well as strengthening the Midlands’ position as a hub of mobility innovation. Britain’s biggest carmaker, headquartered in Coventry, is working on connected technology as part of its pledge to deliver zero accidents, zero congestion and zero emissions. Connected technology will link the vehicle to everything around it, allowing seamless, free-flowing traffic that will pave the way for delivering self-driving vehicles.